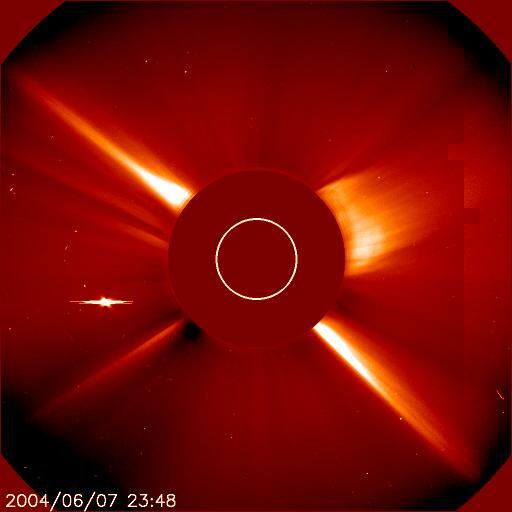 Latest Comment (June 8, 03:20 UT) : The DAY OF THE TRANSIT has begun - the VT-2004 team is here to accompany you through this unique experience! A look at the latest weather images from Meteosat indicate good observing conditions over most of Europe! First Image from this morning is here! 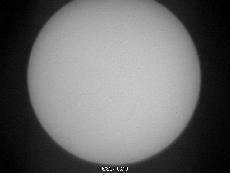 The middle image just arrived from India and shows the Sun in "white light". 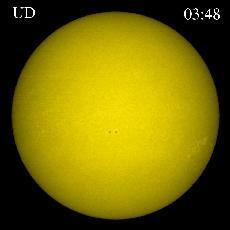 The image to the left was obtained yesterday from the Udaipur solar Observatory in India. It shows the full solar disc in the light of hydrogen (0.05 nm passband centered on the H-alpha line) and displays various active regions, including some "sunspots", regions that are somewhat cooler than the surroundings.